What do you think of this traditional design from VP customer Faith from Walsall, West Midlands? 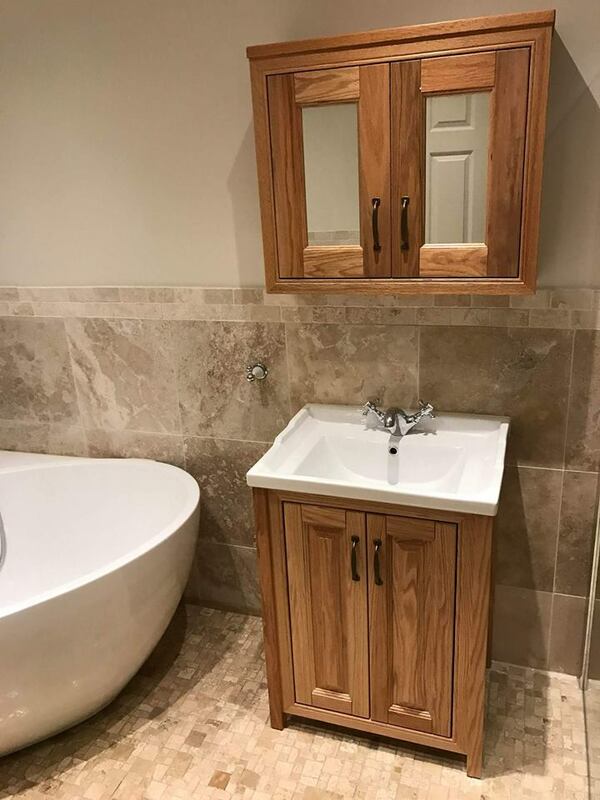 We really like the mix of neutral colours and oak furniture. Faith has chosen a timeless neutral colour scheme for her bathroom. 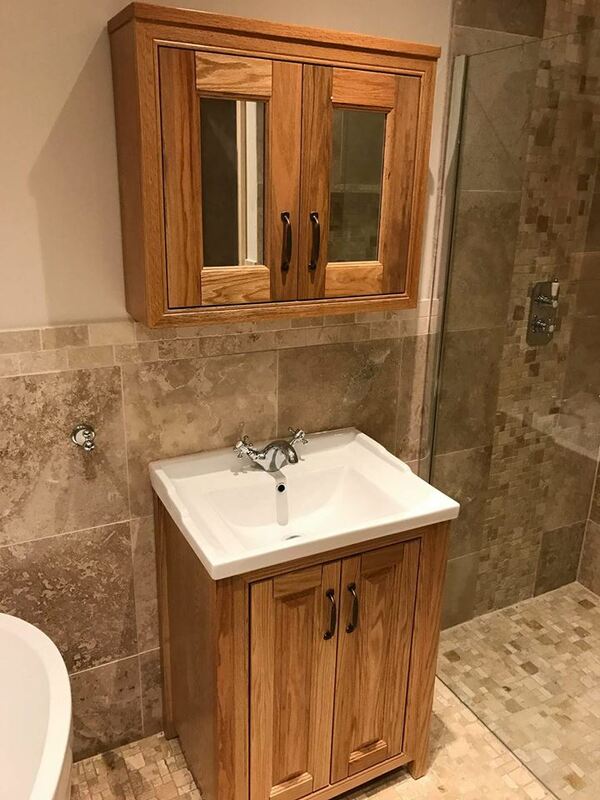 The neutral wall and floor tiles perfectly complement the oak vanity and mirrored cabinet you see here. 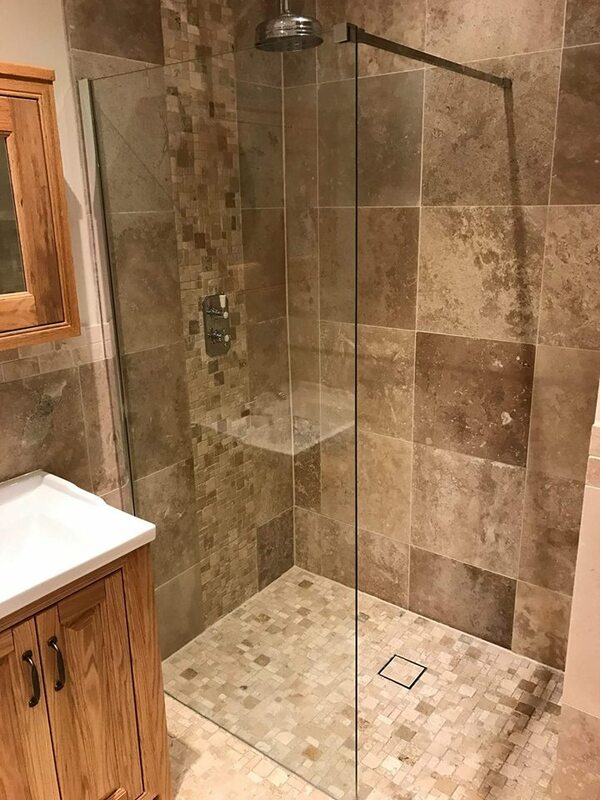 In the corner of the bathroom sits a luxury walk-in shower enclosure with a concealed valve traditional shower. The striking freestanding bath is complemented by a traditional bath shower tap. Faith has employed a nice mix colour coordinated tiles in her bathroom. 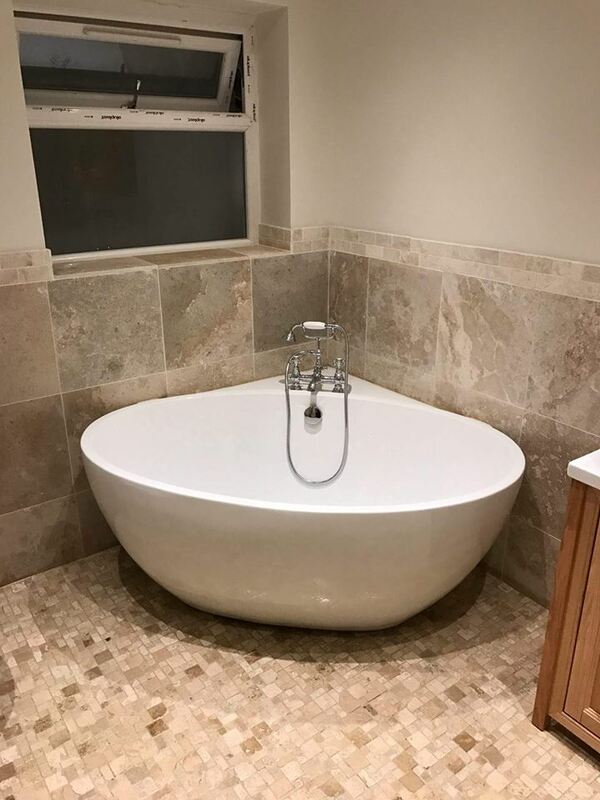 'Mosaic style' tiles are used for the floor and large square tiles are used on the walls. 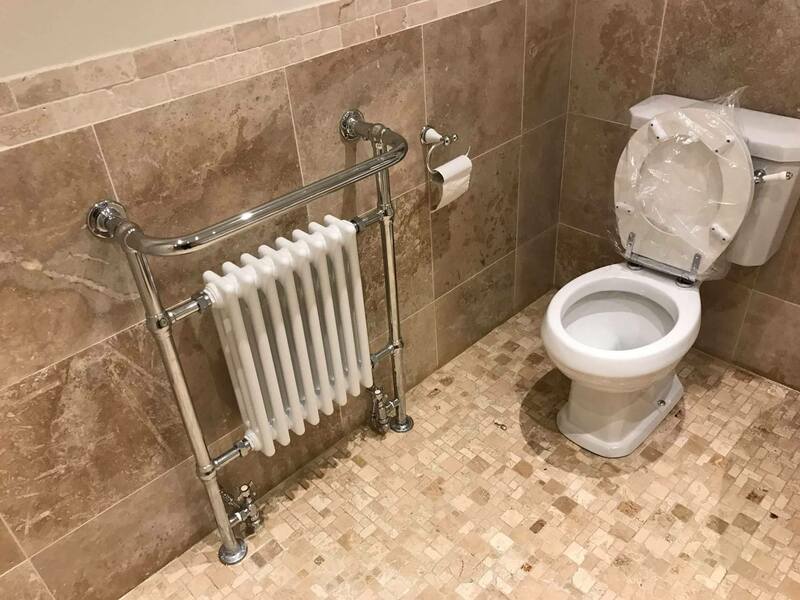 A stunning traditional heated radiator and close coupled toilet complete the look of this beautiful traditional bathroom.